We have just discussed the foods and substances that both men and women should avoid before pregnancy in Part 1: Preconception Health, What to Avoid. In Part 3 of our Preconception Health blog series, we will cover Exercise, Sleep, and Stress Management, and its' role in preconception health. Nutrition, stress and toxic exposure during preconception and pregnancy, can affect the health of your family for up to 4 generations (link). Research has shown that certain birth defects can be traced to nutritional deficiencies prior to conception (1). These facts highlight the astounding effect of your choices during preconception and pregnancy. Now, we want to empower you! Let's talk about the steps that you can make to improve your reproductive health and prepare your body for conception. Men, you are definitely included here. Preconception health is about both parents. If you are planning to get pregnant or trying to get pregnant, then nutrition and lifestyle choices play a significant role. Focus on what you can do to improve your preconception health. Preconception health has as much to do with preparation as pregnancy, motherhood, and fatherhood. Food first right? Yes. So, focus on foods that are the highest in each nutrient to promote preconception health. Download our Comprehensive Food Guide to Nutrition During Preconception for a list of each nutrient involved in promoting preconception health. How much of each food am I supposed to eat to get the right dose? Well, the answer to that question gets a little tricky, because each of us is unique. In nutrient dose, one size definitely does not fit all. We solve this by first focusing on foods that contain these nutrients, followed by supplemental support. Let's start with food first. Make sure that the food you eat maintains a Low Glycemic Index of Macronutrients (Carbohydrate, Fat, Protein). Glycemic Index is a way to measure the impact of food on your glucose (sugar) levels. A good ratio to use is 40% Carbohydrates, 30% Fat, and 30% Protein.A Low Glycemic Index ratio is associated with decreased risks of major chronic disease like diabetes and metabolic syndrome. It also helps to regulate your blood sugar for maintained energy and fewer cravings. Food and Nutrient Support for Phase I and Phase II Liver detoxification:We all have two main phases of detoxification in our liver. The first phase requires nutrients like vitamins A, E, C, B3, B6, B9, and B12, minerals and antioxidants like copper, selenium, zinc, manganese, and CoQ10, glutathione, flavonoids, and phospholipids (choline and serine), and thiols, as well as branched chain amino acids (lysine, valine, and iosleucine) to make toxins that are fat-soluble into water-soluble toxins, which happens in phase II of your liver detox. The second phase of detoxification requires the amino acids glycine, taurine, glutamine, N-acetylcysteine, cysteine, and methioine. All of these nutrients work together to make sure that any toxic exposure that you have, whether internal (endogenous) or external (exogenous), is filtered through your liver and excreted.These nutrients are found in foods that you commonly eat, but we wanted to highlight foods that have the highest nutrient density in our Comprehensive Food Guide. Remember that we don't have to be perfectly systematic in our eating, but we do need to be consistent. Consistency leads to sustainability. Methylation Vitamin and Mineral Co-factors: B vitamins, iron, zinc, and omega 3 fatty acids, as well as sulfur-based amino acids, l-methionine and l-cysteine.The easiest way to think of methylation is to think of it like activation. In order for healthy activation, you need co-factors (or necessary parts) to ensure that your body can detox more effectively, make neurotransmitters, make energy in your cells, improve your cardiovascular system health, and decrease uric acid build-up. Uric acid is a chemical that breaks down purines in your body. If purine levels get too high, then you can get sick. We also know that poor methylation is associated with infertility and miscarriage. The co-factors that we highlighted above can be found in food form in our Comprehensive Food Guide.Here is what we suggest: don't worry about exact serving sizes and nutrient intake, but rather choose foods from each list daily. We are looking for wholesome intake, not perfection. Your body will be able to rebalance without perfect. Include a Rainbow of Foods daily to ensure proper phytonutrient intake:Phytonutrients help keep plant's vitality strong, there are thousands that we know about and thousands that we still are learning about—they improve the vitality for those who intake them as well! Red/Orange, Yellow, Green, Blue/Purple, White/Tan—try for at least one food from each color daily. Antioxidant Support: Antioxidant is a word that is thrown around all the time. But, what do we mean when we say antioxidant? Well, antioxidants are your body's security and protection team. They help fight off damage that is happening to your body internally (endogenous), or externally (exogenous). Commonly known antioxidants are vitamins A, E, and C, as well as the minerals selenium, copper, zinc, and manganese. In our Comprehensive Food Guide, we have listed top foods that are rich in these nutrients. Try for antioxidant focus foods daily. Remember that consistency is perfection! Probiotics and Probiotic Rich Foods: Probiotics are necessary and healthy bacteria that help your GI stay happy and balanced. These friendly bacteria are a crucial part to nutrient absorption. Without them, you decrease your ability to keep yourself healthy.Did you know that 70% of your immunity comes from your gut lining? What happens when you don't support the health of your intestinal tract? Your susceptibility to all toxicity becomes a problem for you. Stand up for your gut health and take action by choosing fermented foods that are known to have 100X more friendly bacteria than found in supplements! Check out our Comprehensive Food Guide for your probiotic rich foods.Change your gut, change your life! Herbs and Spices: These help to decrease free radical damage done to your body, and promote balance along your digestive tract, while supporting your detoxification pathways. Choose to include herbs and spices whenever you can! So, what happens when food is not enough to address your individual nutrient needs? Maybe the increased need comes from an unhealthy balance that has been happening in your life for a long time, or from increased nutrient needs, like during pregnancy, that can't be addressed with food alone? As we mentioned before, there is absolutely no way that supplements will beat out nature, and the beautiful nutrient rich food that it creates for us. But, what happens what you can't get all of the right foods in, or your individual health (preconception/pregnancy) needs require higher nutrient levels than found in food? That's when we use supplements as a bridge. Eat in balanced macronutrient (carbohydrate/fat/protein ratio) way. 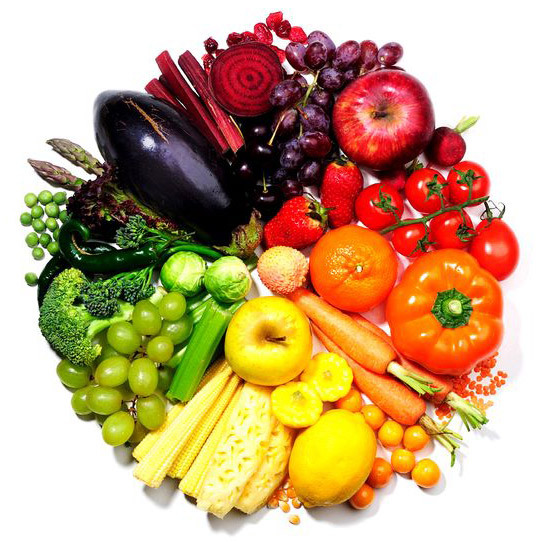 Support your detoxification pathways by including a rainbow of foods daily and increasing protein intake. Include antioxidants into your daily eating. Avoid foods that increase inflammation. Meet your methylation (activation) needs by choosing foods that are high in B vitamins, iron, zinc, omega 3-fatty acids, l-methioine, and l-cysteine. Spice up your life with herbs and spices. All of this will create a balanced and holistic you to improve your reproductive health. What you do now will have long-term health affects for you and your family. That is an amazing and empowering fact. You have the tools. Go use them!